Having a clear out to make space! Never used makita. Tested and all in excellent working order. Combi Drill (Bare Unit Only). The Impact driver has a few light storage marks. Torque settings: 18 drill. TheBosch Professional Combination Kit has everything a Tradesman could want. A selection of 6 of the more popular Power Tools in the Bosch 18v Cordless Range. Selection of Six Bosch Tools. Product Information. 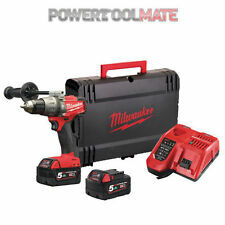 6 pieces Milwaukee sets . Impact driver, drill and hammer ,trim saw, jigsaw .recipricator saw. Torch .3 battery ,and charger.18 v batteries. Makita DLX6067PT12X5 12 Piece Cordless Kit. The Makita DLX6067PT12 is an Exclusive kit to Toolden. Upgrade the machines on Makita's website to a 3 year warranty. 5 x5Ah batteries. 1 xDMR102W Radio. 1 xDBO180 Sander. All tools are fitted with a two pin plug but an adapter is supplied. Plugs can be changed to UK 3 pin style if required. Cut, grind, polish, sand, sharpen, engrave, etch, carve, clean and more, all with just one tool. Plunge-cut right into the counter and fit a new sink with no need for pilot holes. 287-piece deluxe accessory kit. DEWALT DCK211D2T 10.8V Cordless Kit (2 Piece). Condition is New. Fatmax Toolbag. 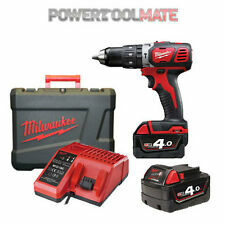 18v Li-ion Combi Drill &. Impact driver with aluminium front housing provides greater heat dispersion increasing motor life. Drill Features Compact, lightweight and ergonomic design with rubber grip for superior user comfort.